Jim Henson and Frank Oz‘s 1982 cinematic fantasy The Dark Crystal remains a marvel of practical visual effects, puppetry, and classical storytelling more than three decades after it was first released in theaters. 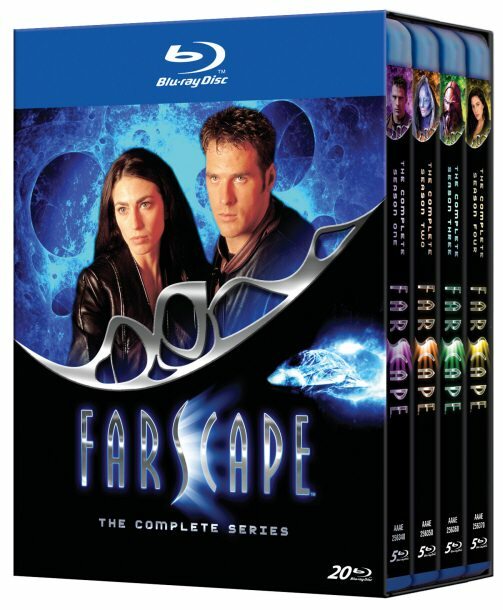 A longtime favorite of kids and adults, Crystal‘s cult following has grown over the years and the film continues to win over new fans every time it gets inserted into a DVD or Blu-ray player or screens theatrically. I know it did with me. Earlier this year I blind bought the extras-packed Blu-ray release of The Dark Crystal from Barnes & Noble to see if the movie deserved the love and adulation that has been piled on it since its big-screen debut a week before Christmas 1982. 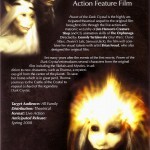 As a proponent of practical effects, models, miniatures, and matte paintings over CGI creations I was amazed by the beautiful imagery that directors Henson and Oz – working from a screenplay by David Odell (Masters of the Universe) – and their team of FX wizards and puppeteers headed by concept artist Brian Froud worked tirelessly to bring to life at a considerable (for the early 1980’s) budget of $17 million. 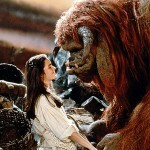 It’s been a quarter of a century since Jim Henson‘s ambitious fantasy film Labyrinth first premiered to a lackluster reception from audiences. 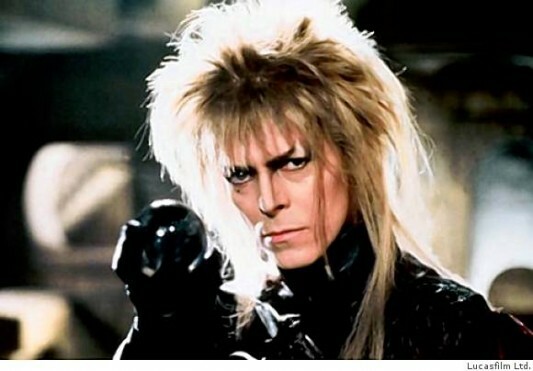 In the years since its release the movie has built up a cult following and been widely hailed as one of the best children’s fantasy films of the 1980s, thanks in no small part to the exceptional puppet work and the performances of a young Jennifer Connelly and British glam rock superstar David Bowie as the Labyrinth’s villainous Jareth, the Goblin King. All week long I’ve been watching scary movies like Trick R Treat, Night Of The Demons, and The Thing. Tonight, I viewed Paranormal Activity for the first time, but since it’s nearing my bedtime, I don’t think the last thing I see before closing my eyes should be a film about an invisible demon terrorizing a woman while she sleeps. 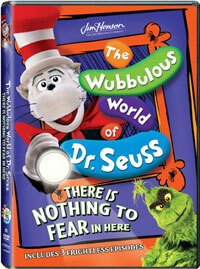 As luck would have it, a package arrived earlier today with a DVD of The Wubbulous World of Dr. Seuss: There’s Nothing To Fear In Here. What better way to erase the spookiness of my horror movie marathon than with a Dr. Seuss tale about how there’s nothing to fear? 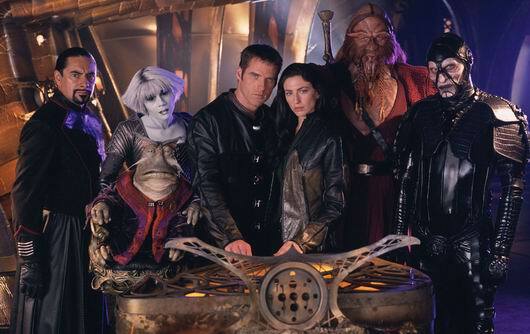 I put in the DVD, which contains 3 episodes from what was a Jim Henson Company television series that ran in the mid-1990s, and what’s the first tale about? A little girl who can’t sleep at night because there’s banging coming from within her closet and she’s convinced the noise is being made by monsters living in there. Umm, how is this helping me forget Paranormal Activity, Dr. Seuss!? Not too long ago, we got our first peek at the new Fraggle Rock comic book from the Jim Henson Company and Archaia Entertainment. According to the folks at Henson, this is just the beginning; they have plans to bring us new comic books based on puppet-fueled titles like The Dark Crystal and Labyrinth as well! Both Labyrinth and Crystal are also majorly beloved titles to those who grew up in the ’80s, and both have had comics based on them before by places like Marvel. These two planned comics are still in the earliest of stages, but it looks as though first issues of one or both could be seen by sometime at the end of 2010 or maybe the beginning of 2011. At the moment, Fraggle Rock is the main focus of 2010. The Jim Henson Company is responsible for the greatest puppet creations of all time, and they’re still going very strong. 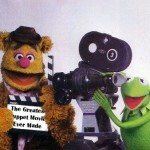 When word came that they would be heavily involved in the massive return of the Muppets as well as other puppet-related titles like a Dark Crystal sequel and a Fraggle Rock movie, we the children of the ’80s were elated. While the various Muppet/puppet movies are still in development, other forms of entertainment are on the way to re-ignite an interest and an excitement in these worlds and the characters within them. 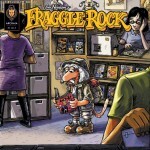 One example of this is the brand new Fraggle Rock comic book by Jeffrey Brown that’s currently set for release in April. Fans will also have the chance to grab some Fraggle action when an issue is available during the beloved Free Comic Day. Those of you who can’t wait will be happy to discover that MTV was able to get their hands on some goodies from the new series, including a look at the first cover and a sample of the Free Comic Book Day offering. 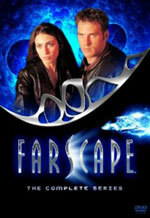 Click the image above to see the cover of the first issue, and head over to the other side to check out the sample excerpt! It’s Not Meat, It’s Not Puppets … It’s The Muppets & They’re Coming Back Big! If you got the reference in the title, you’re awesome and we’re putting you right up on the fridge. Many of us cool kids are children of the ’80s, and as such, one of the greatest forms of entertainment ever to be created, is the Muppets. The Muppets are a creation of the late genius Jim Henson, who built an army of funny and lovable puppet characters who appeared in a countless amount of TV shows, specials, movies, music videos, cartoons, and everything in between. As life moved on and new generations of kids showed up, the Muppets faded off slowly, but never completely disappeared, making delightful cameo appearances on shows and events from time to time. But now, thanks to the massive Disney D23 Expo, we’ve learned that the Muppets are coming back in a big way, and their ready to take over the world again! Back in March of 2008, we learned that we would finally be getting a brand new Muppet movie, with Forgetting Sarah Marshall team Jason Segel and Nick Stoller joining the Jim Henson Company to write and direct a new movie. Not much else had been known about the project since that time, but Coming Soon was on hand at the Disney Expo and they passed along word that a title for this movie has been made official: The Cheapest Muppet Movie Ever Made.